Hoboken's corruption past meets the present as a trial is set for June 11th surrounding the criminal allegations of vote buying. The Jersey Journal reports Frank "Pupie" Raia and Dio Braxton facing allegations of buying votes in 2013 will stand trial together beginning June 11th, per an order of the court. Another alleged member of the conspiracy Liz "Church Lady" Camis was the first arrested in the vote-buying allegations using Vote by Mail ballots. She's pled guilty and is likely to appear as a witness for the government. 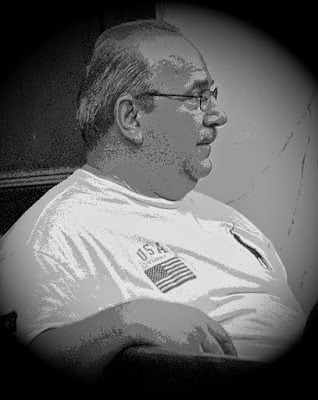 A vintage photo of Frank "Pupie" Raia attending a Hoboken City Council meeting. Frank “Pupie” Raia, the Hoboken politico and real estate developer who federal prosecutors have accused of overseeing a cash-for-votes schemein the 2013 municipal election, lost a bid to have his case severed from his alleged co-conspirator. Raia’s lawyer, Alan L. Zegas, told the judge overseeing his case that he would be denied a fair trial if he were forced to face charges alongside Dio Braxton, who is accused of promising Hoboken residents $50 per vote at Raia’s direction. Both men have denied the charges. NJ.com points to the history of political corruption and alleged voter fraud in Hoboken, a story Hobokenhorse.com first broke in 2010 and steadily reporting on since. The charges facing Raia jolted Hoboken, where it’s long been an open secret that local political machines paid for votes using mail-in ballots. Prosecutors allege Raia ran one of these operations by directing his allies to promise voters $50 in exchange for applying for and casting mail-in ballots in 2013. That year, Raia, a Democrat, was an at-large council candidate in the city’s nonpartisan municipal race and supported a voter referendum that would have weakened rent-control laws. He and the referendum lost.